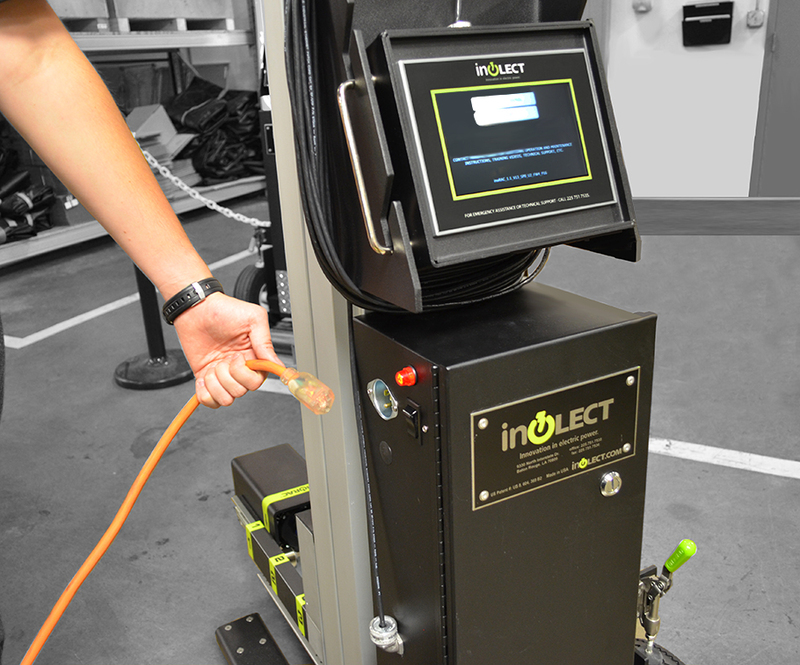 The newest and most highly anticipated accessory in the product line for the inoRAC2 Universal Remote Racking device is a rechargeable UPS Battery Power System. This optional accessory allows the unit to perform all functions, racking and operations, using battery power instead of 110v electrical outlets. Extension cords are no longer required! The Battery Power System will allow the inoRAC2 approximately 1 hour of usage before requiring a recharge. It was designed to aid customers who are in outages, have lost power for any reason, or have remote breakers or substations where the usage of cables is difficult. The inoRAC2 is the most versatile, technologically advanced Remote Racking product on the market, with over 100 breaker connection tools available. No switchgear modifications are required. Unlike competing products, the unit monitors torque and breaker position during the entire racking process, providing optimal equipment protection while eliminating the risk for personnel. Click here for more details, pictures and videos!